From the diagram above the maximum length of the total wire back and forth should not exceed approximately 8 m for gauge #10 (5.26 mm2). By increasing the size of the wire to gauge #2 (33.6 mm2) the maximum length is limited to approximately 32 m.
The electrical resistance in a copper conductor with cross sectional area 6 mm2 is 2.9 10-3 ohm/m. This is close to wire gauge 9. 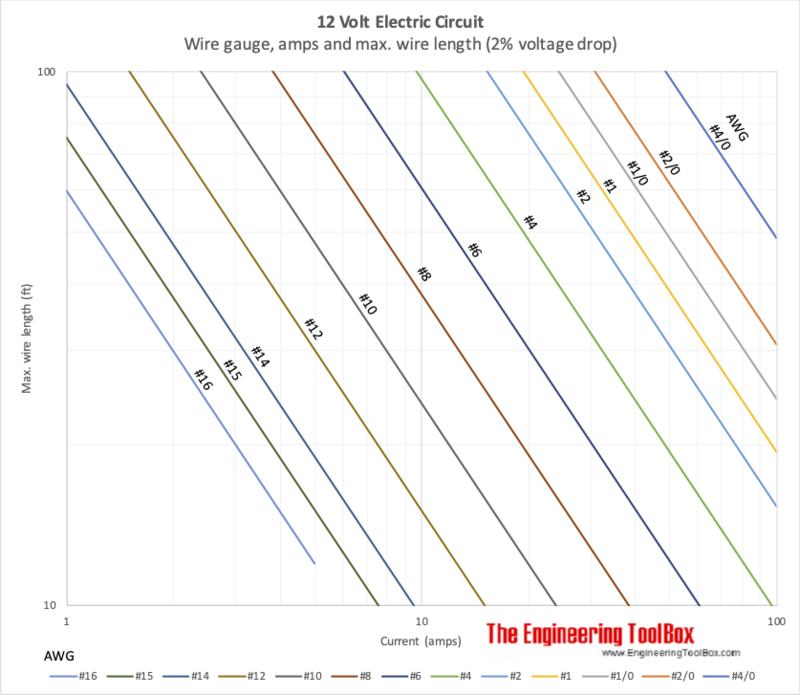 Engineering ToolBox, (2010). 12 Volt Current and Maximum Wire Length. 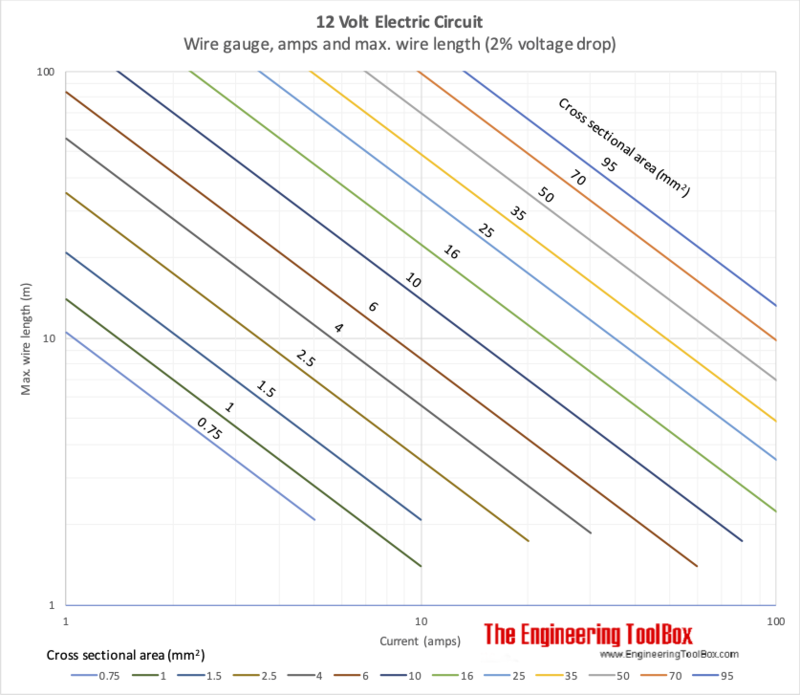 [online] Available at: https://www.engineeringtoolbox.com/12-volt-wire-loss-chart-d_1689.html [Accessed Day Mo. Year].